I just decided to switch over my Rainforest classroom to a Farm classroom. I'm a Texas girl replanted into Michigan, so I guess I love all things country. So stay-tuned for more pictures of my classroom. I promise to post as I make the room my own. 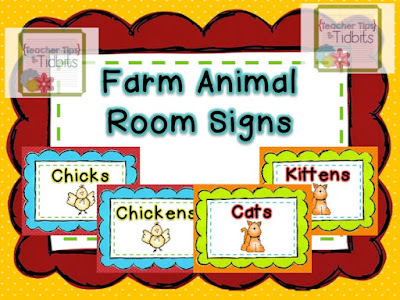 Last year, I had Rainforest animal signs for my math and literacy station families. I decide which students will be in a "family" the first few weeks of school. Then the families NEVER change. We don't get to choose our family, but we do have to figure out how to work together. Kinda sound like real life? Be sure to choose heterogenous groups according to basic ability. For instance, if all of the higher levels students are together, then everyone wants to be "in charge." Nothing will get accomplished except for a lot of arguing. On the other hand, if the lower level students are all together, then they may struggle with knowing exactly what to do. So a mixed group is what you want. It is beautiful and helped the students to be independent. The signs stay in the same place on the wall all year long. If you choose to use these for rotating groups, then you just make your names the part that moves. I PROMISE to post a picture as soon as I get back up to my classroom to snap one. It will make so much more sense then. 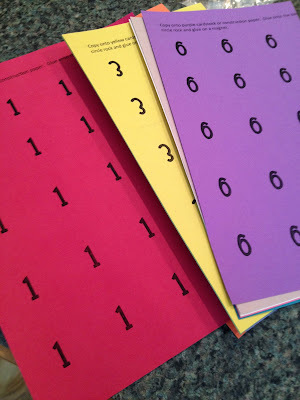 You could also use these for writing prompts, class decor posters, matching the adult to the baby, and much more. I included the adult animal poster as well as the baby animal…the pictures are the same, just the titles are different. I included two sizes so that you can best find what meets your needs. Click the picture to purchase these fun signs. 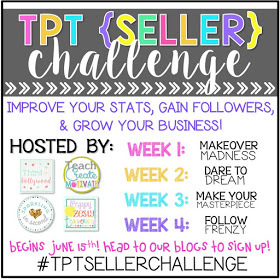 It's Week 3 of this fun challenge, and it was just the kick in the pants that I needed to get this product finished. 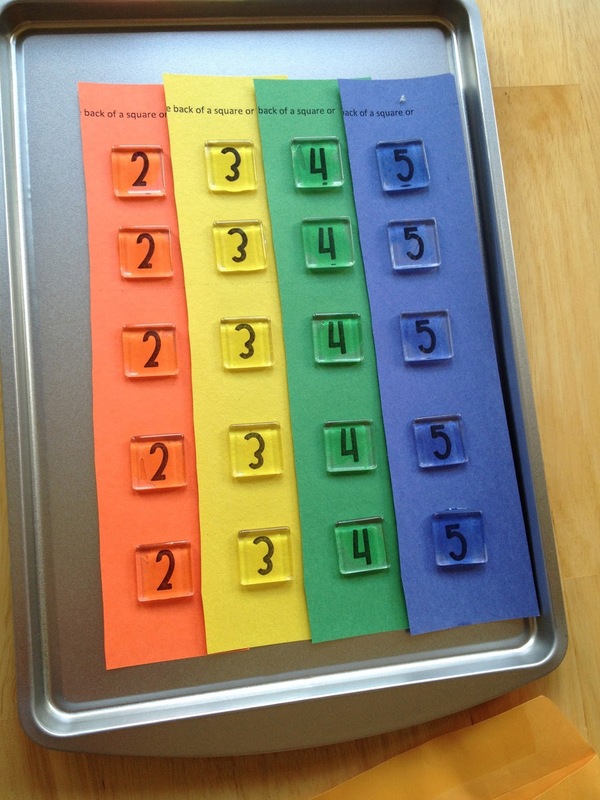 This is a Classroom Management system that my co-teacher and I created. We were looking for something different to use, fun and positive, and with a daily communication for the parents. This was perfect. Plus, as a bonus, it taught the student the colors of the rainbow. The recording sheets are completely optional. Our school likes for us to have something that goes home each night, so I wanted to make something to accommodate that. But the system can easily be used without it. The students each have a number. 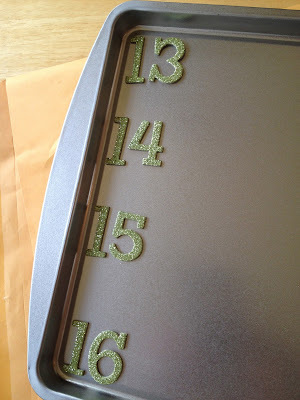 I used number stickers from Michael's, cookie sheets from the Dollar Tree, and some wash tape. 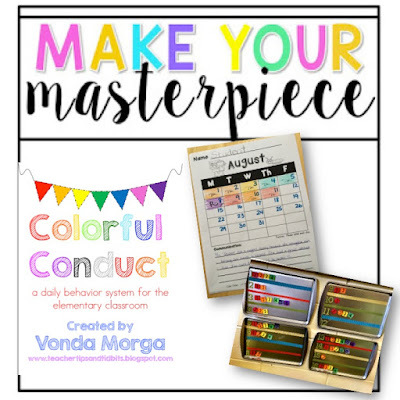 This made it easy to make it all coordinate with my classroom colors. The magnets were made from numbers printed on construction paper, clear stones from the Dollar Tree or glass pieces, clear epoxy glue, and magnets. 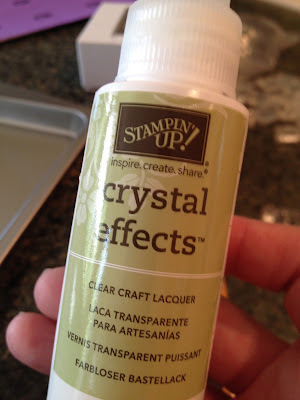 I used this Crystal Effects glue from Stampin' Up, but you can use anything that is safe for paper and glass. The students love putting up their magnet. It is possible, if needed, for a student to lose a magnet. So sad…but it does happen! I do try to jot a quick note on the take-home sheet if a student loses a magnet. A sample note is included in the packet. You can find this full system here in my TPT store. There are blank sheets for every month, in case you teach at a year-round school. All that's needed are the monthly dates, a folder, and some awesome students.